Microsoft rolled out a new build of its Windows 10 Technical Preview late Wednesday afternoon. The update brings Windows 10 Technical Preview to build 10061, and comes with new versions of the Mail and Calendar apps. At this time, the release is only available to Windows Insider customers who are in the fast ring and not the slow ring. In Microsoft's two-stage preview approach, fast ring customers get releases earlier than customers in the slow ring, but may encounter more bugs or issues. In this release, customers will now have access to the new Mail and Calendar apps. These apps were also delivered recently to mobile customers in the Windows 10 for phones technical preview. Microsoft says that both apps support Office 365, Exchange, Outlook, Gmail, IMAP, POP, and other protocols. There is a three-pane UI for quick navigation, an easy toggle to switch between the two apps and also gesture support to perform quick tasks like on the mobile version. 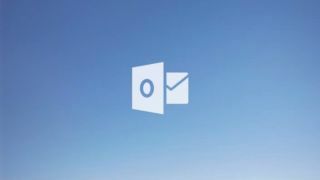 "Mail includes customizable Swipe Gestures, letting you swipe right or left to take actions like delete, flag, move or mark as read/unread," Microsoft said in a blog post. "Also check out the new email authoring experience. Mail leverages the familiar and rich capability of Word to that allows you to easily insert tables, add pictures and use bullets and color to your text." Users who upgrade to the latest build are advised to visit the Store Beta, which is the grey Store tile, to update both apps. "The version of the Mail and Calendar apps included in this build have a known issue that causes every typed letter to appear twice," Microsoft said, but the update from the store should fix the problem. There are also other improvements as well. Tablets owners will have a better experience with the new 10061 build as the taskbar now grows in size to support better touch. "Entering Tablet Mode causes the Start button, Cortana, and the Task View buttons to all grow in size and space out to be more touchable," Microsoft said of the experience. "Items in the Notification area also widen to improve touchability. Also, pinned and running apps are removed by default to reduce clutter and simplify the experience." There are also new improvements to the task view and a new black theme. For multitasking customers who need more desktop space, Windows 10 now also supports unlimited virtual desktops.